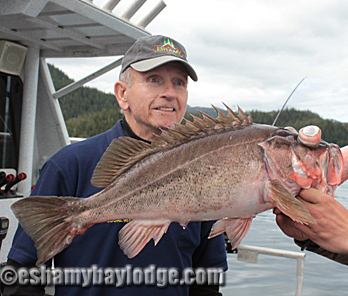 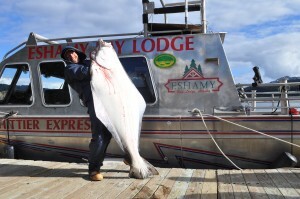 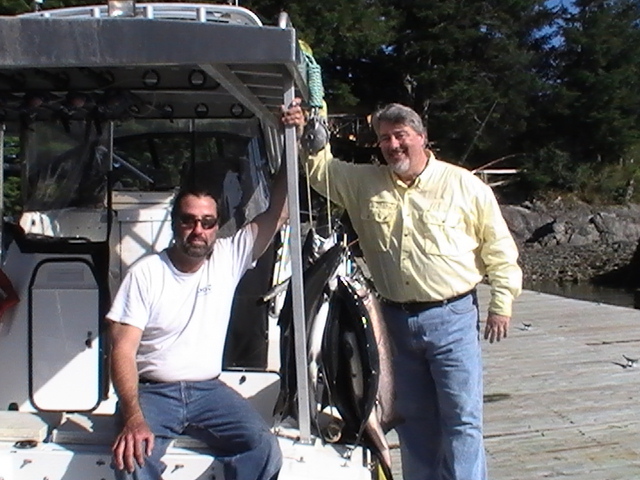 Fish for Halibut, Salmon, Ling Cod, Rock Fish, and more with our Full Day Charter! 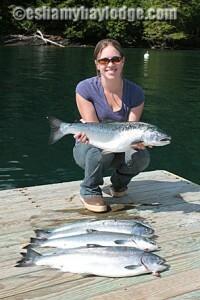 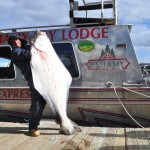 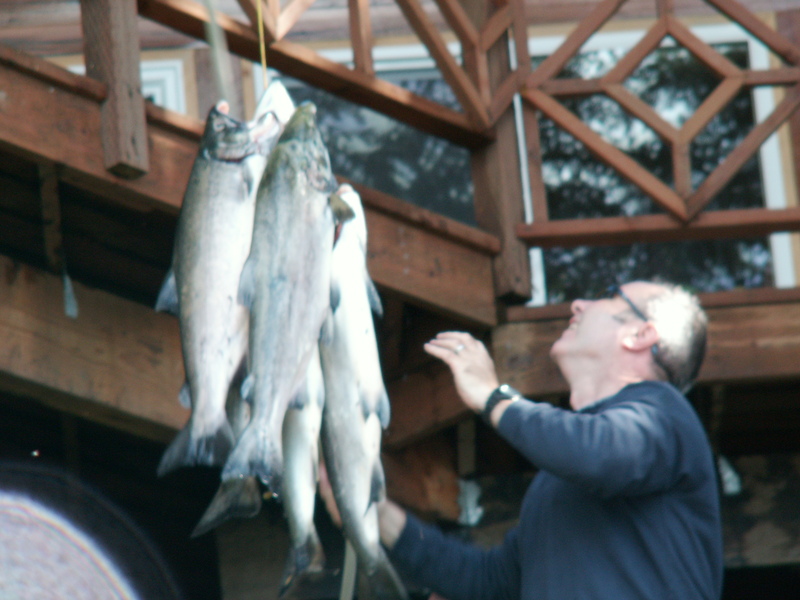 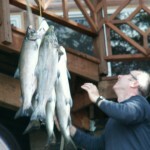 of Sockeye, Coho (silver salmon) and Pink salmon every summer during June, July and August, salmon are abundant in the Prince William Sound, often schooling up in front of Eshamy Bay Lodge, around and under the docks. 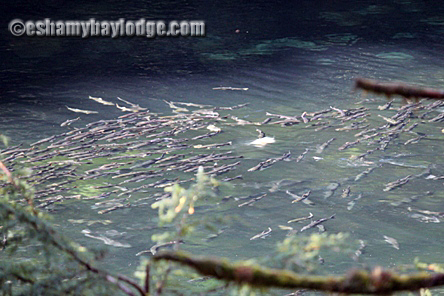 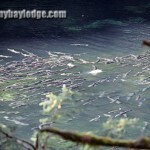 Picture yourself and friends being surrounded by jumping salmon! 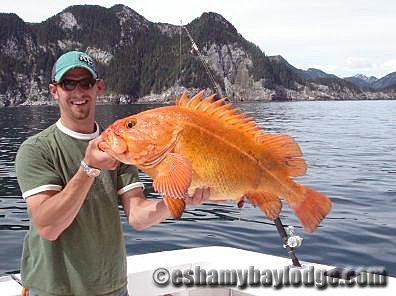 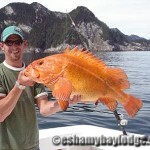 Fish from the docks or shores near the Lodge or travel into Eshamy Lagoon for more fishing options. 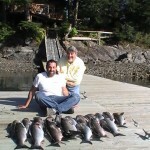 You can travel by kayak for a complete experience or our Captain can drop you off by boat at the mouth of Eshamy Creek. 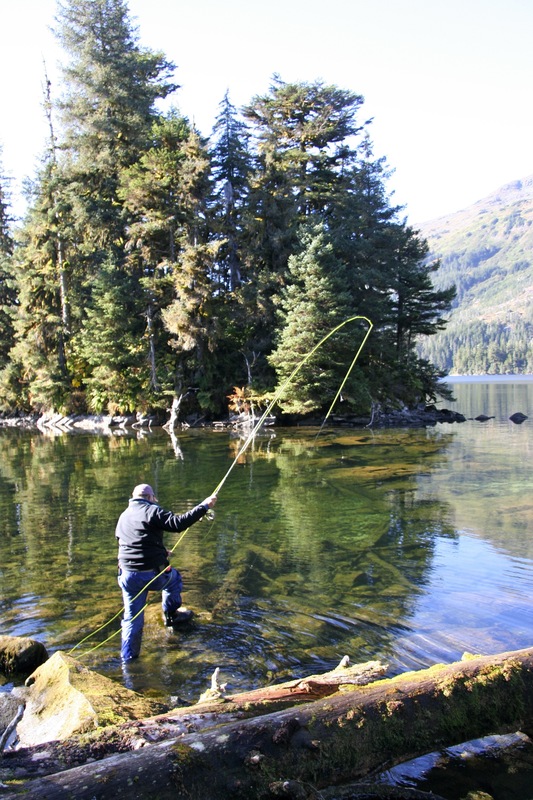 Left-handed real, right-handed reel, baitcasting rod, spin casting rod, fly fishing rod, light line, heavy line, floating or sinking, the choices are endless so if you have a favorite rod and real, bring them along. 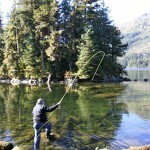 We do not provide fishing gear for shore fishing. 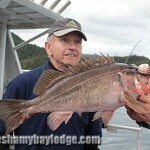 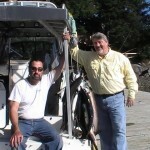 All fishing gear is provided on a guided fishing trip. 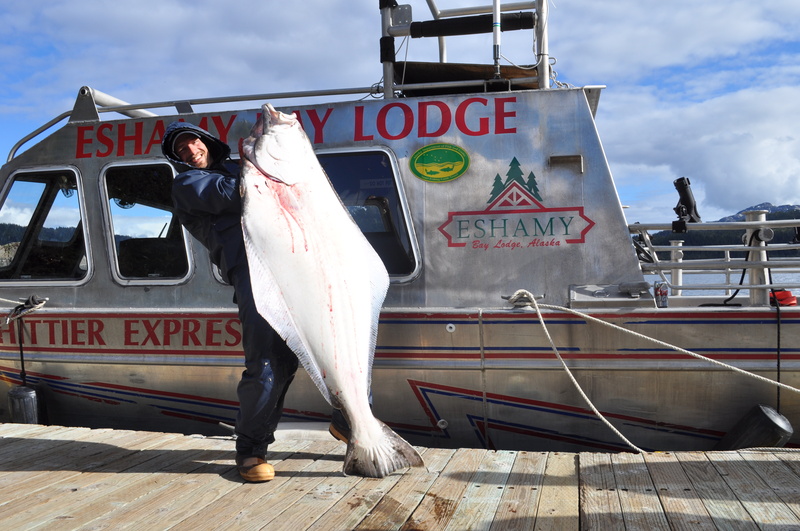 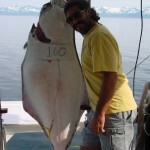 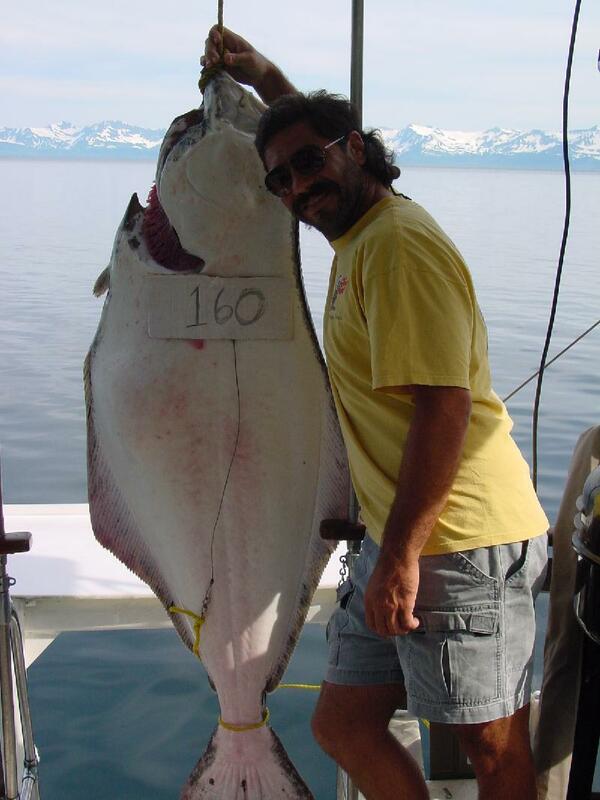 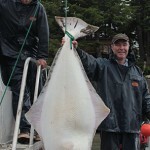 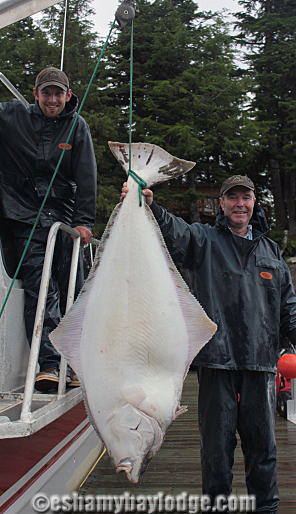 Enjoy our guided fishing charters for your chance to fish for Halibut, Ling Cod, Rockfish and other bottom fish! 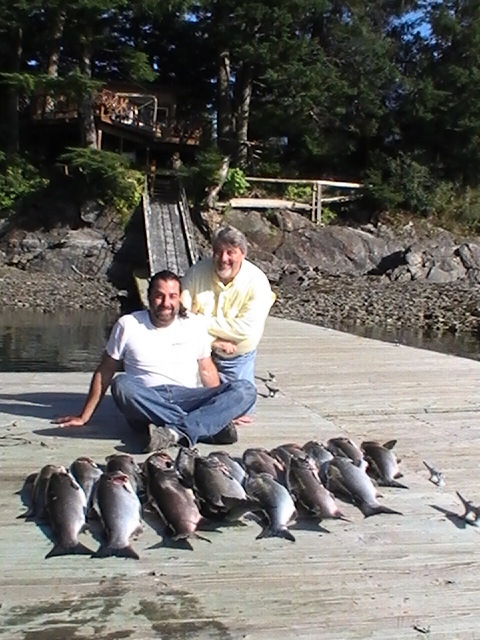 This includes a full day on the water with a knowledgeable Captain and fishing guide. 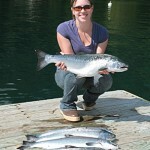 All fishing gear and bait are provided. You must have a fishing license with you. 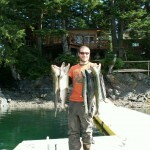 These can be picked up in Anchorage or Whittier before your trip. 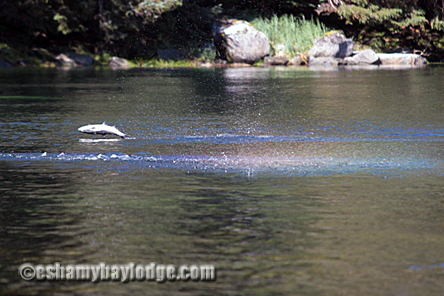 Eshamy Creek flows into the head of Eshamy Lagoon, which can be reached by a short scenic boat rid e or a longer Kayak paddle. 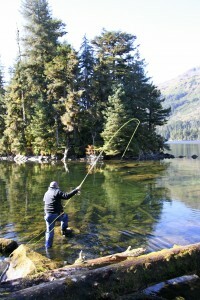 The Creek offers excellent fly fishing for Dolly Varden trout, Sockeye, Pink, and Coho Salmon, from the shoreline or walking in the stream using waders. 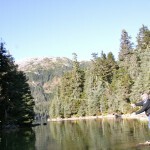 A short walk up the trail paralleling the stream will bring you to Eshamy Lake. 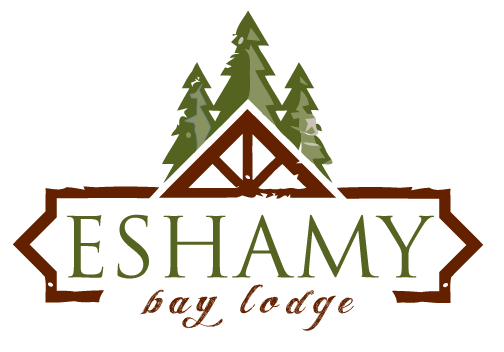 The trail to the lake is improved, about a half mile long, and with little gain in elevation through lush vegetation along Eshamy Creek to Eshamy Lake. 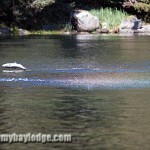 Black bears can often be seen along the creek feeding on the returning salmon. The bears are well fed and have little interest in humans but care should still be taken while traversing the area. 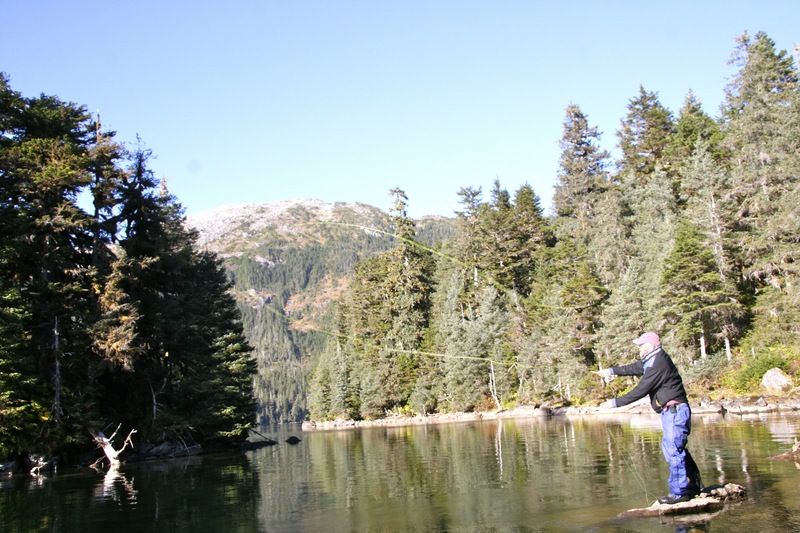 Where the trail meets the head of Eshamy Creek and Eshamy Lake the log jam offers an excellent platform for casting a fly to the nearby trout. 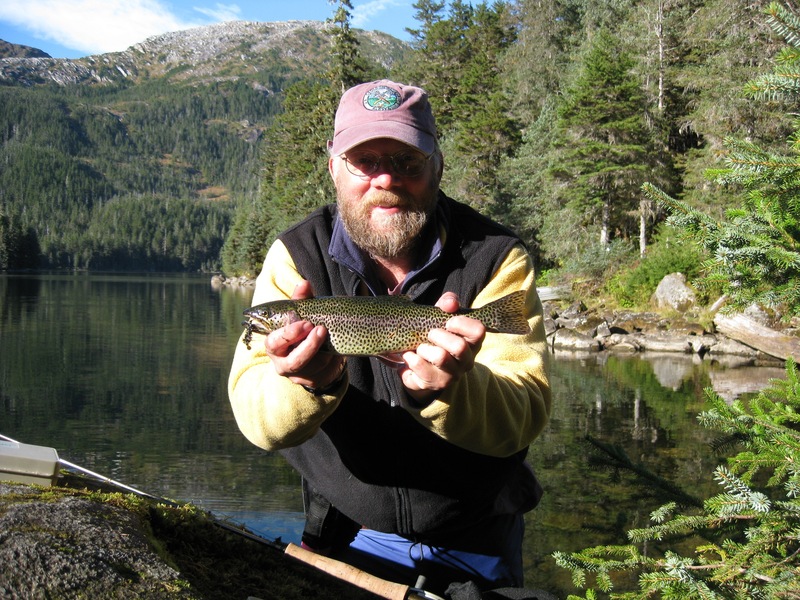 Eshamy Lake is known for having a high concentration of Cut Throat trout! 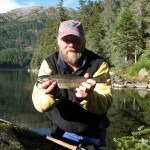 Novice or expert fishing enthusiasts packing their rod, reel, chest waders or float tube will be rewarded by the breathtaking scenery and the trout rising to your fly. 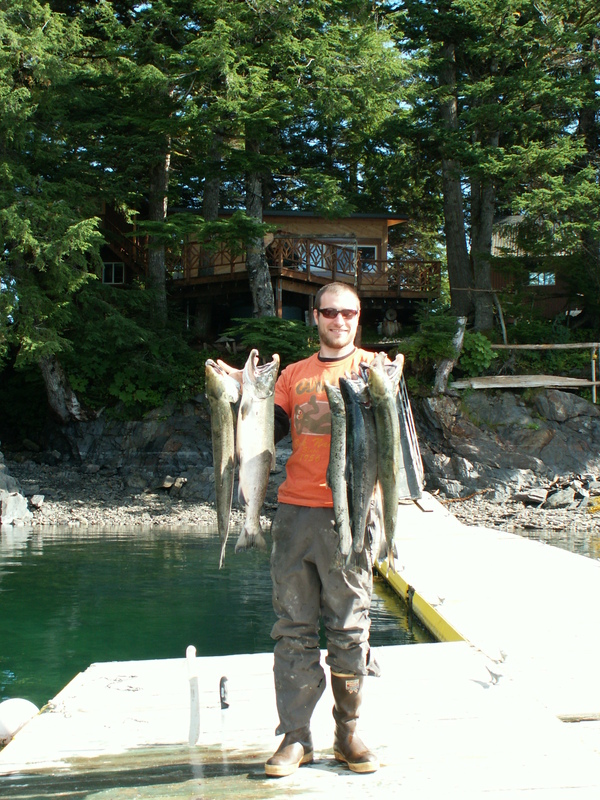 Call 907-440-7978 or email so we can arrange the trip of a lifetime just for you!